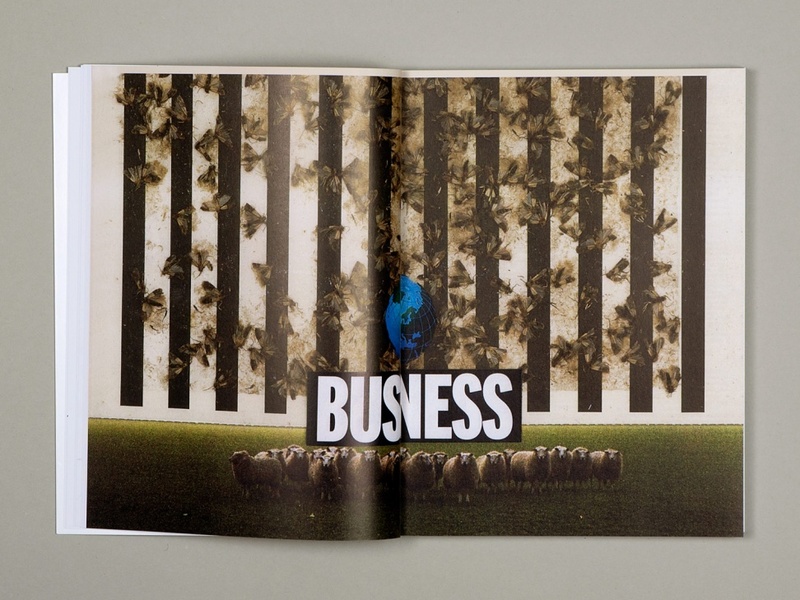 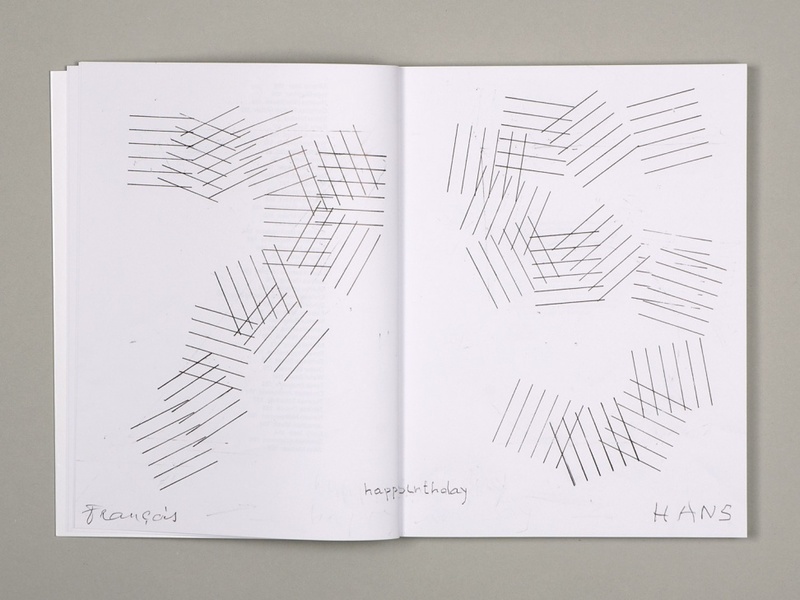 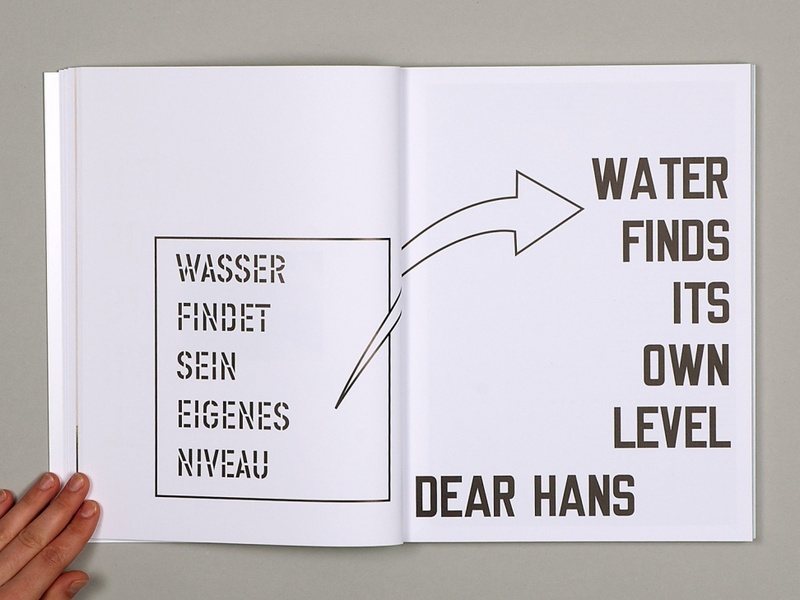 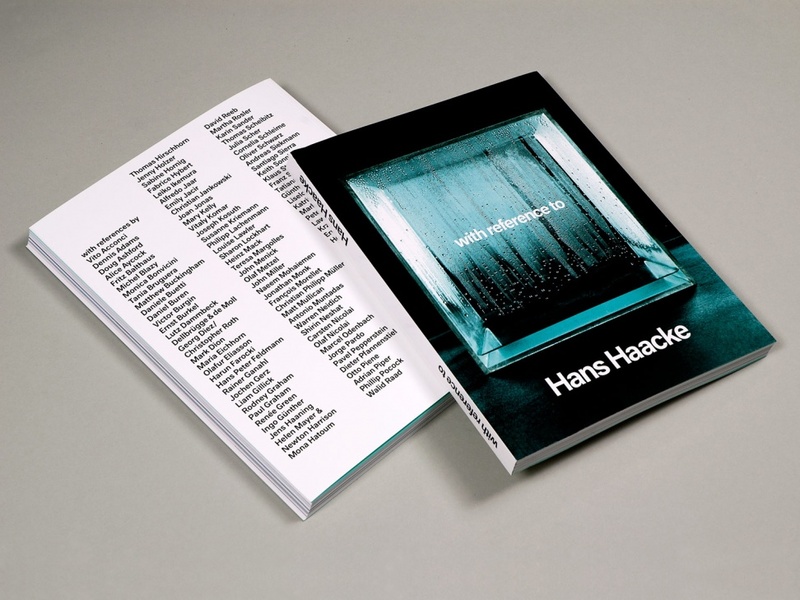 This comprehensive publication is dedicated to the German-American artist Hans Haacke. 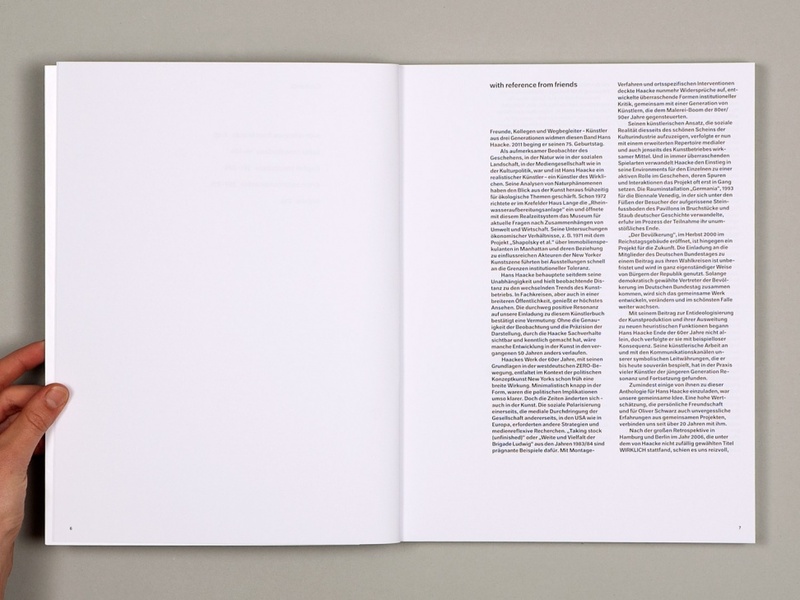 Some 90 contributions by friends, colleagues and companions, artists from three generations, were specially created ‘with reference to’ Haacke. 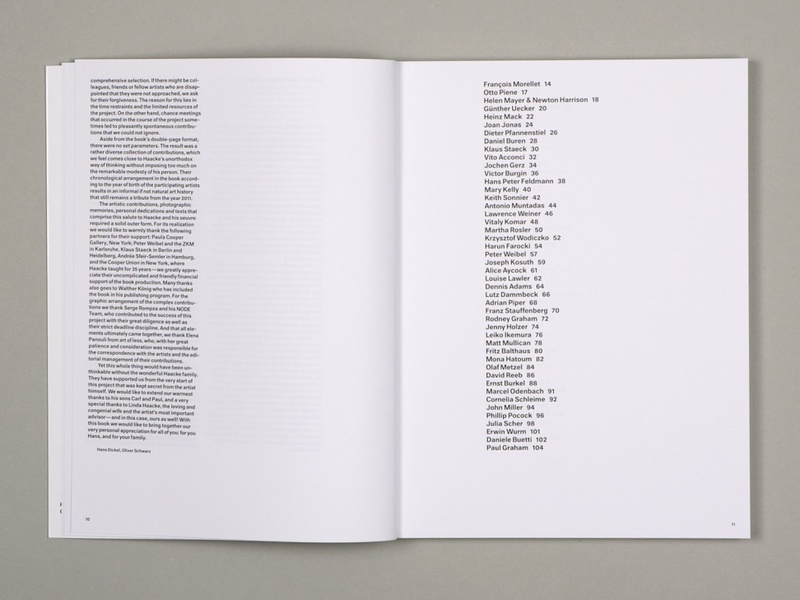 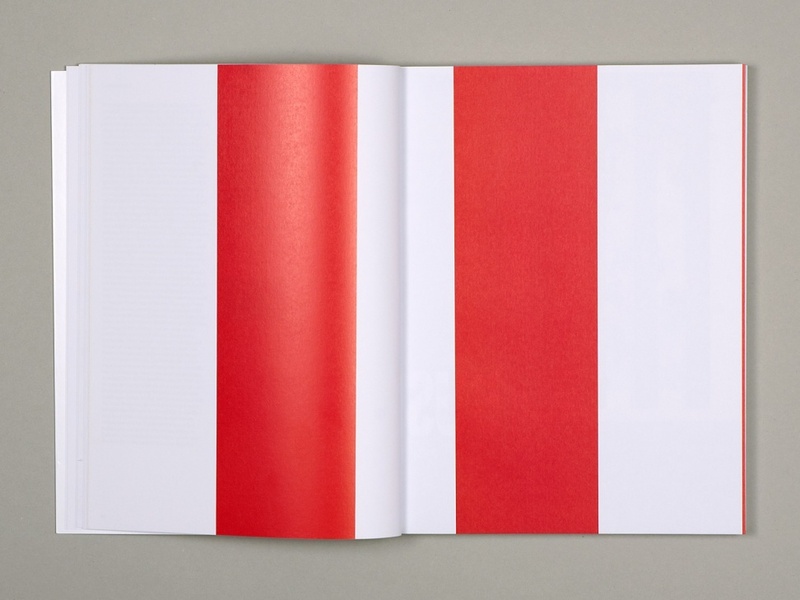 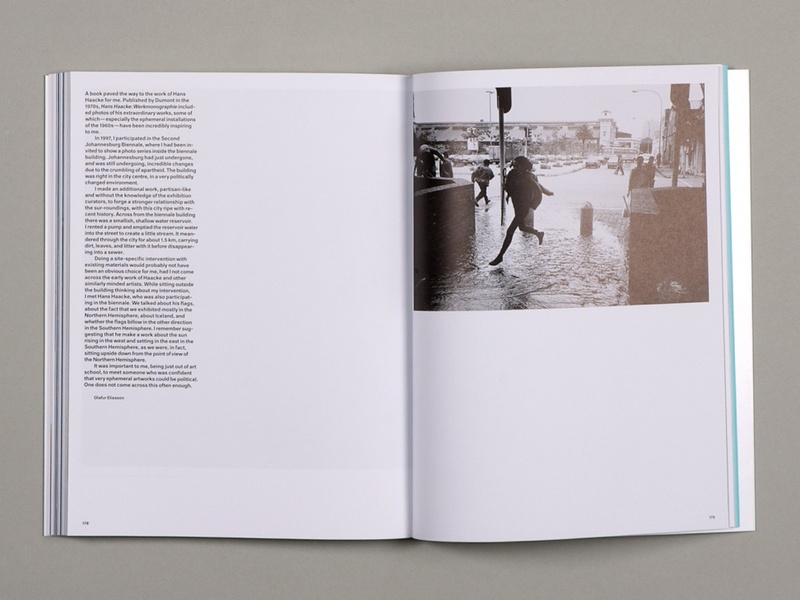 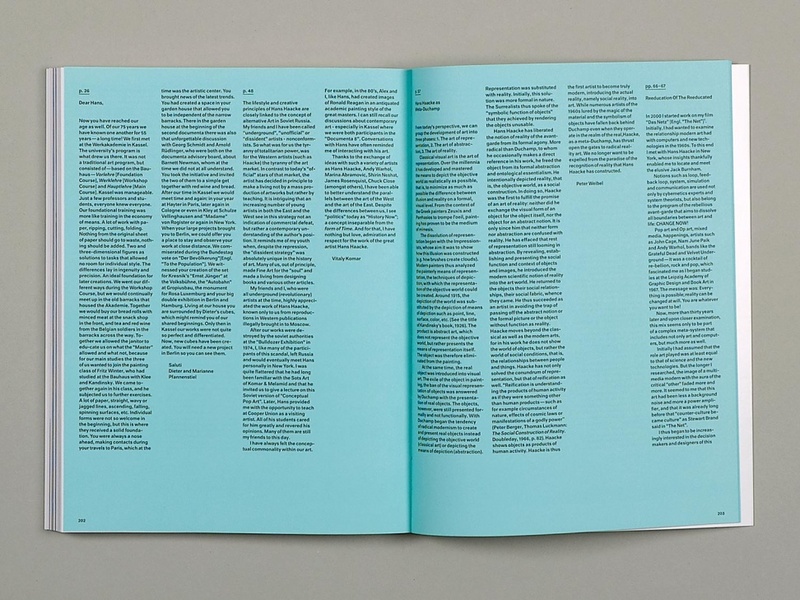 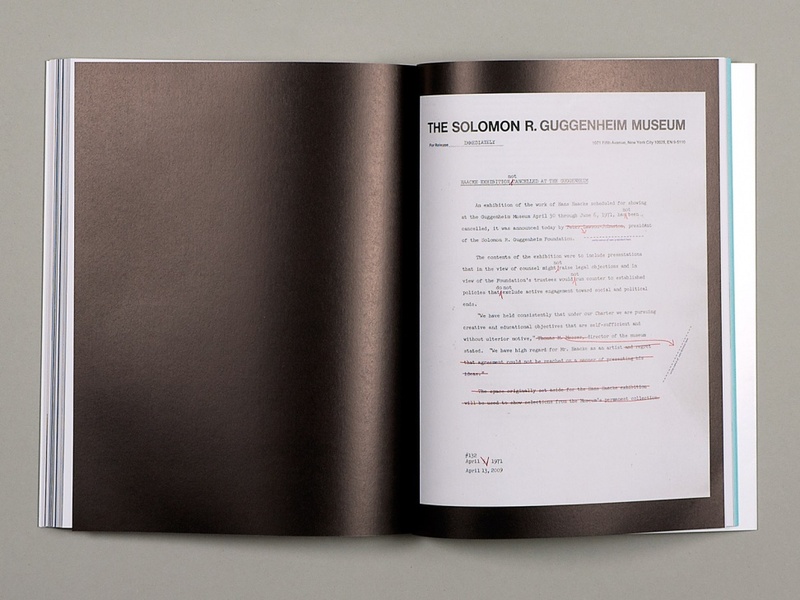 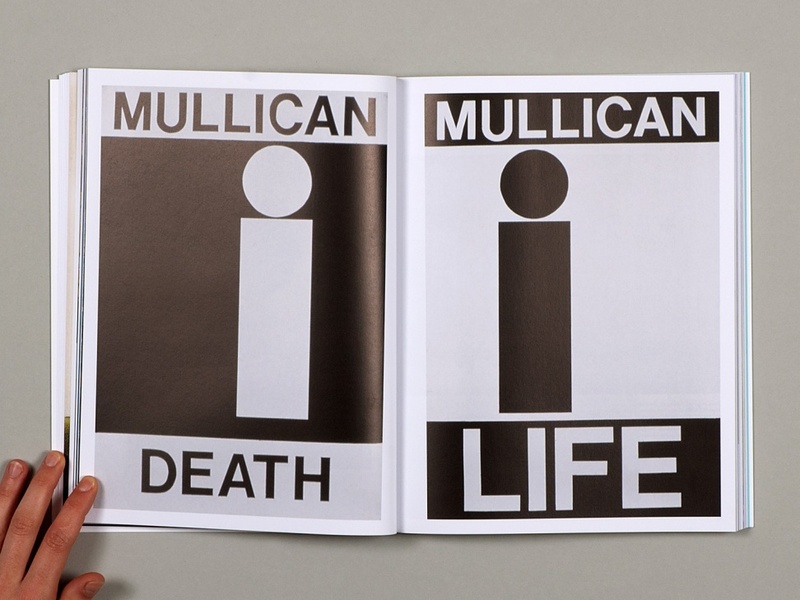 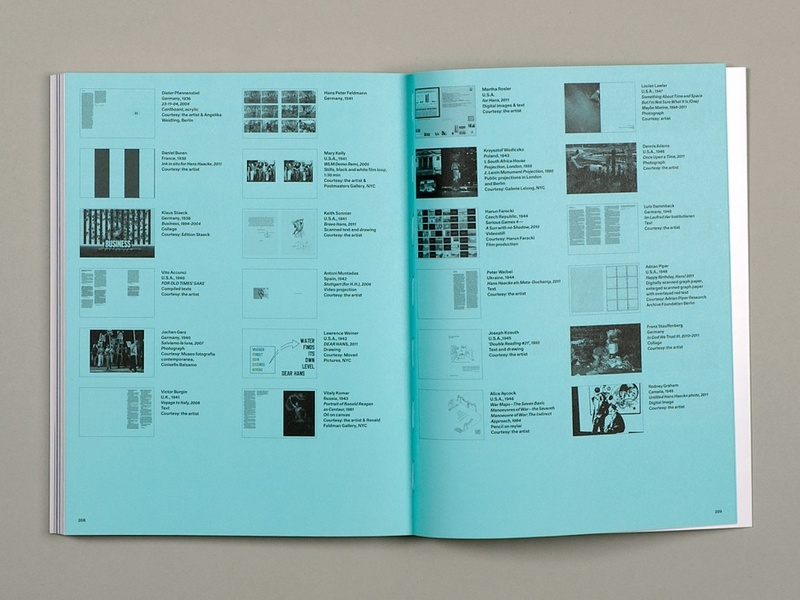 The diverse works are arranged chronologically according to the year of birth of the participating artist and result ‘in an informal if not natural art history that still remains a tribute from the year 2011.’ The book is divided into the main part, presenting the artist contributions, and an index printed on uncoated coloured paper.